Venue: Seminar Room, First Floor, Department of Computer Science, Faculty of Mathematical Sciences, University of Delhi, Delhi-110007. You can check the status on registration desk on 7th July 2016. Candidates in waiting list are also requested to check the status on registration desk on 7th July 2016. Please check the final lists on 6th July 2016 Evening. Certificate will be awarded to only those candidates who will attend all the days both the sessions. Number of Seats: 50 (35 Reserved for DU Teachers) on First Come First Served basis. Dr. Ragesh Jaiswal is an assistant professor in the Department of Computer Science and Engineering at IIT Delhi. His core research interests include Algorithms, Complexity, Theoretical Cryptography, and Machine Learning. Before joining IIT Delhi he worked as a Postdoctoral Research Scientist at Columbia University, New York. He did his PhD from University of California San Diego. and BTech from IIT Kanpur. 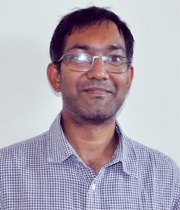 Rajiv Raman is currently working as an Assistant Professor in the Department of Computer Science and Engineering, at IIIT Delhi. His primary area of research is algorithms. He is interested in the design and analysis of algorithms for problems in various domains such as scheduling, resource allocation, graph colouring and geometry. Development of efficient practical heuristics for real-life problems is also a research domain he is interested in. Dr Rajiv obtained his PhD degree in Computer Science from University of Iowa in 2007. He has worked as a postdoctoral fellow at the Max-Planck institute for informatics in Germany, and at the centre for Discrete Mathematics and Applications at the University of Warwick. He also worked briefly at TCS Innovation labs before joining IIIT in 2012. Yogish Sabharwal is currently working in the High Performance Computing (HPC) group at IBM India Research Lab. Amongst other things he has worked on optimization of HPC Challenge (HPCC) benchmarks on IBM Supercomputers such as Blue Gene and won the HPCC Class 1 award for this benchmark on IBM's Blue Gene Supercomputers six years in a row (2005-2010). Associated publications include a best paper finalist at Supercomputing 2006, a best paper award at IPDPS 2009 and a best paper award at HiPC 2010. He has also worked on environmental science applications and graph algorithms on Supercomputers. He has previously worked in the areas of telecommunication and networking with Nortel Networks and Hughes Software Systems. He completed his Ph.D from the Indian Institute of Technology, Delhi in 2007. 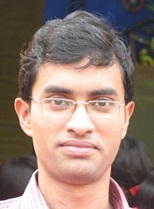 His thesis is in the area of computational geometry algorithms and is titled "Approximation algorithms for proximity and clustering problems". He completed his Masters in Computer Applications from Delhi University in 1997 and Bachelors in Mathematics from Delhi University in 1994. He is also an adjunct faculty @IIT-Delhi. Anamitra Roy Choudhury is a Technical Staff Member at IBM Research -India. He is currently working in the High Performance Computing group at IBM Research - India. The work mainly involves optimization and parallelization of different scientific applications on massively parallel architectures. Very recently, he submitted his Ph.D. thesis in Computer Science and Engineering at the Indian Institute of Technology, Delhi (IITD). Prior to this he completed hisB.E. from Jadavpur University, Kolkata and MTech. from Indian Institute of Technology, Kanpur (IITK) He is the recipient of Notional Prize for academic performance in IIT Kanpur in the year 2005-06. He is also the recipient of University Medal 2005 for securing 1st position in Computer Science & Engg. Department in Jadavpur University. �	Distinguished Scholar Teacher Award (UM) 2007-2008. �	Google Research Award, Sep 2007. �	PODS 2003 Best Newcomer Paper Award. �	Dept Teaching Award, 2000-2001. �	Lilly-CTE Teaching Fellowship, 1997. �	Dean's Award for Excellence in Teaching, 1996. �	NSF Faculty Development (CAREER) Award, 1995--1998. �	NSF Research Initiation Award, 1993--1996. �	Award for Outstanding Contributions to Seniors, Univ of Maryland, 1995. �	Dept Teaching Award (Honorable Mention), 1994--1995. �	Dept Teaching Award (Honorable Mention), 1993--1994. �	Dept Teaching Award (Honorable Mention), 1992--1993. �	IBM Graduate Fellowship, 1989--1990. �	McMullen Graduate Fellowship, 1986--1987. He obtained his Ph.D and Masters degress from Cornell University, Ithaca in Aug 1990 and B.Tech. from Indian Institute of Technology, Kanpur, 1986.